DALLAS — In December 1997, a sixth-grader at Dan D. Rogers Elementary School here set a three-alarm fire in the library. Erin and Sean Jett, whose house is so nearby they hear the school bell ring, did not have school-aged children at the time. But it left an impression. “My child will not go there,” said Erin. When it comes to their children’s education, parents are like drug-sniffing dogs. Test scores matter. But so do other things. Which is why now, more than 10 years later, Emma Jett will be a fifth-grader at the Dallas school this fall. And her parents are happy about it. 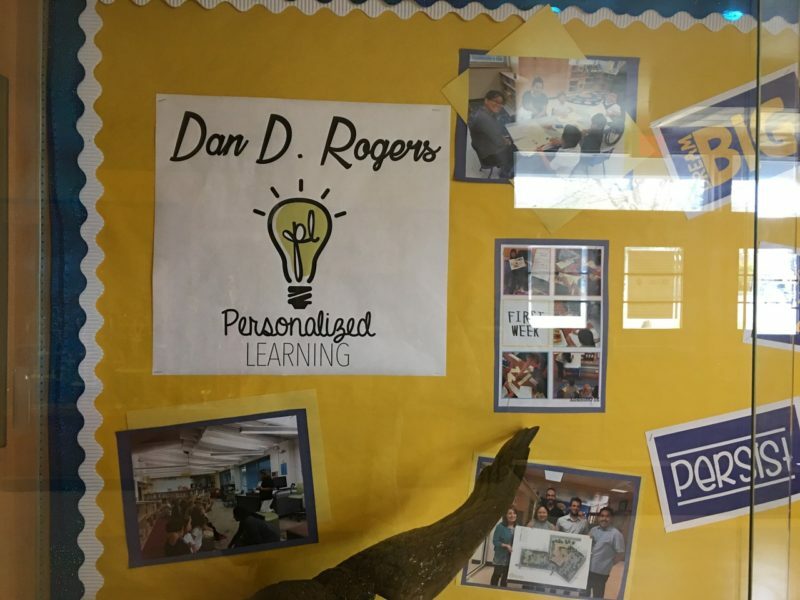 Their changed view — and that of others who shunned Rogers and now want in — is driven by what seems to be a magic educational elixir: personalized learning. Amid all the bellowing about charters, school choice and vouchers, a potentially more revolutionary reform movement is bubbling up. Philanthropists, state education officials, reform advocates — even charter school leaders — are examining personalized learning. The big idea is to create a customized path so students learn at their own pace, in the manner that resonates best with them, with content tailored to their interests, aided by their computers. It feels natural to a generation groomed to presume that everything is calibrated to their needs and wants — whether it’s online shopping, news or math homework — and raised with smartphones in their hands. It sounds benign, and wonderful, to many parents. Schools, districts and even entire states are embracing it. Teacher unions cautiously endorse it, while flagging the concern that teachers could be replaced by technology. But personalized learning raises big questions about educational equity. Is it important for all children to be taught common skills and content? Could personalized learning spur an even more splintered society? Is the purpose of education to forge a thoughtful citizenry or to equip students for jobs? 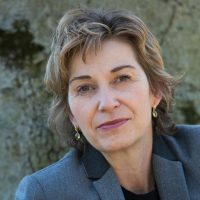 What does personalized learning mean to the perennial tug-of-war over content — in higher education’s “great books” debate over whether students should absorb the Western canon or study what they want, and, at the K-12 level, over the Common Core? Is sameness the key to equal opportunity? But perhaps the most dramatic decision the school made was to explicitly teach students to lead their own learning. Students would not be recipients of lessons, but drivers of them. This basic idea matters because even given current excitement around personalized learning, much of what’s declared fresh about it has been done for years. Differentiated instruction was conceived in the 1950s. Before and since, teachers have given different students different worksheets and assignments. 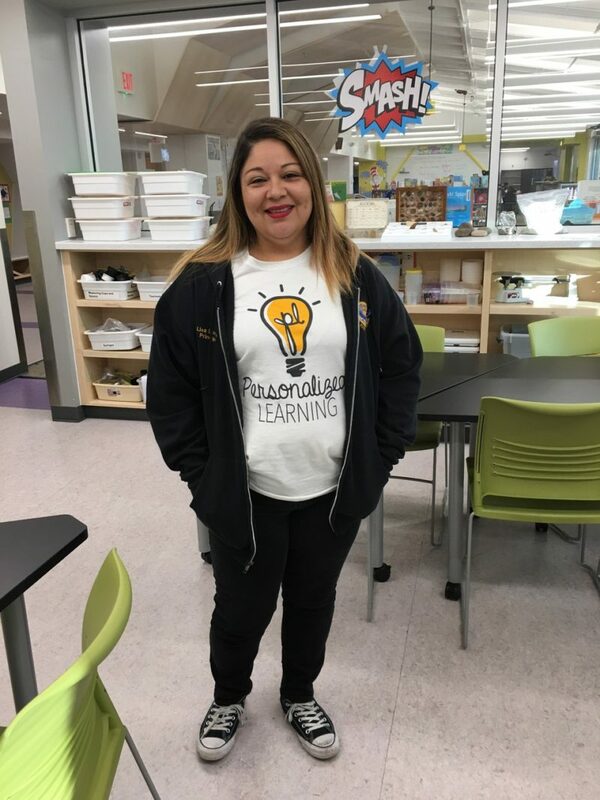 What’s new at Rogers is that children are taking the lead — and some responsibility — not just for what they do at a given moment in class, but for their growth as students, said Marissa Limon, the assistant principal. They work with teachers to create learning plans, and they reflect on their progress. Even in kindergarten, teacher Pauline Hayden schedules brief conferences every few weeks with each of her 20 students. Such insight matters. 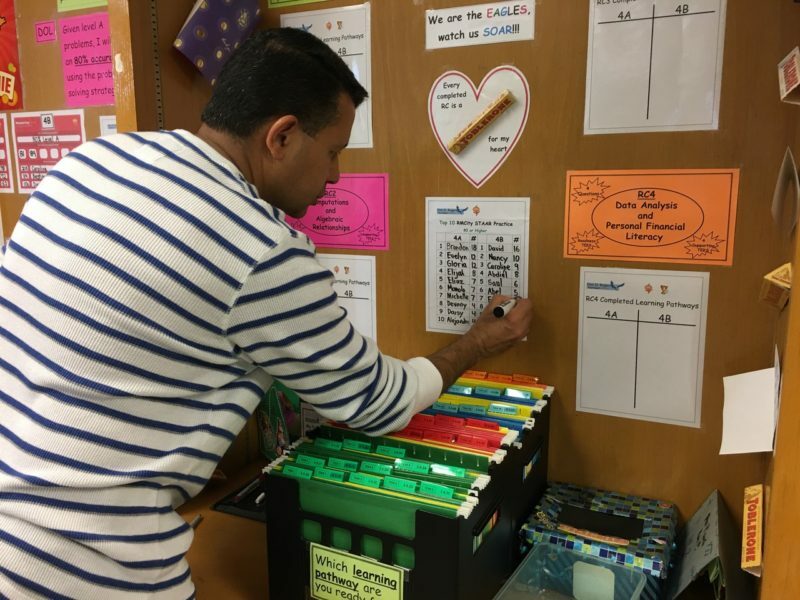 It means that even though Genesis Velazquez is 11 math lessons behind David Nava in teacher Sudhir Vasal’s fourth-grade class (“My pace is super fast,” David said), Genesis has not lost an ounce of pride in her work. “I don’t like to go that fast, because then I can get some problems wrong,” she explained confidently as she worked through a lesson on geometric symmetry. Her corresponding quiz scores: 100, 92, 92. Technology is a big part of the personalized learning story. Silicon Valley’s robust push into education has made tech spending an increasingly large school budget line. Smart tools like lesson software that adjusts to students’ responses (and automatically provides more practice when they stumble) can enable increasingly specific levels of independence. Software can also integrate student data into teacher programs to help them track progress in ways unthinkable several years ago. In Vasal’s class, students take a test; he instantly sees their errors and can explain their mistakes. Overall, the rise of online learning — from MOOCs to Khan Academy — makes “blended” learning that combines computer and live instruction feel normal to students. And it will follow them into the workplace and throughout their careers. Even now, curricula in some cutting-edge tech fields exists online (not on campus), making Silicon Valley a driver of high-level training. So it’s no surprise that the Chan Zuckerberg Initiative just gave $14 million to Chicago Public Schools to develop personalized learning. But does personalized learning work? That is harder to answer. 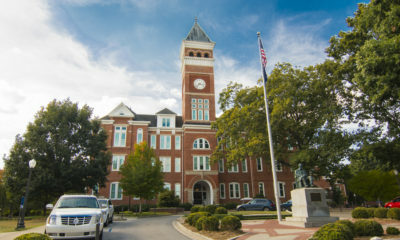 A RAND Corporation study conducted for the Gates Foundation (both the Chan Zuckerberg Initiative and the Gates Foundation are among the many funders of The Hechinger Report) and published last year noted that, “while PL is promising in theory, there are very few evaluations of students’ learning outcomes.” The study tracked math and reading test scores and compared students who got personalized learning instruction with those who got traditional instruction. It found a small, statistically significant bump in math (3 percentage points) and a “similar trend” (but “not significant”) in reading. Hardly earth-shattering results. What’s new here is that children are taking the lead — and some responsibility — not just for what they do at a given moment in class, but for their growth as students. Yet if the focus is on learning — as opposed to testing — this personalized approach does make sense. And not just to technophiles. It seems obvious that the quirks, habits, passions and temperaments of individual students will affect not just what they learn, but the energy they put into the effort. Human variation is not an inconvenience, in this view, but a tool for engagement. Teachers at Rogers Elementary said they keep their ears perked for hints of student passions (one: outer space) to slip into explanations and assignments. Test scores have become the public face of school quality. But talk to parents and you hear less about numbers and more about a child’s happiness. It’s why a fire in the library tarnishes a school’s reputation in the minds of parents, sometimes for years. At Rogers, test scores have ticked up slightly. But the surveys put parent satisfaction in the 88th to 96th percentiles. Parents connect the dots between their child’s academic engagement and sense of well-being. Rogers, once shunned, now has 200-some transfers among its 520 students, Lovato says. Kristen Watkins, director of personalized learning for the Dallas Independent School District, said it is catching on, and will be in 10 schools in the fall. But the district does not dictate a top-down recipe. “We gave autonomy to the schools,” she said. At Rogers, the Jetts said they appreciate the tone personalized learning has brought. “In the classroom, if you want, you can sit at a table. If you want to sit at a desk, you sit at a desk. You can sit on the floor. If you want, you can sit on a ball,” said Sean.